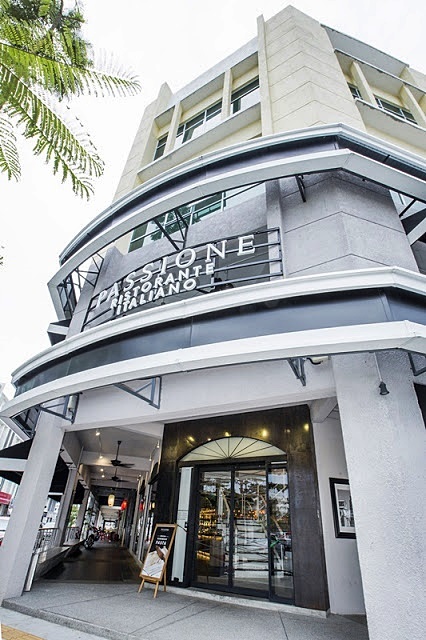 Although Italian restaurants are aplenty in the Klang Valley, many do not serve pork, a situation newly opened Passione Ristorante Italiano is looking to remedy with its offerings of authentic handmade Italian fare crafted with flair by Chef Stefano. 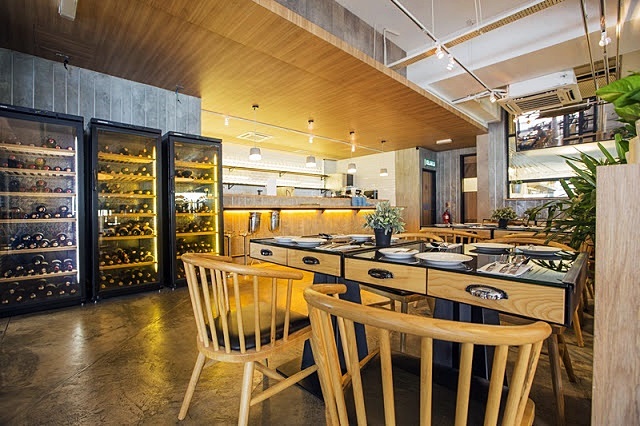 Situated at the cosy suburban neighbourhood in Sri Petaling at the old premise of Le Pont Boulangerie, the cafe famous for their French pastries, this brand new Italian restaurant has been in operation since its soft launch in June 2018. The brainchild of Italian Chef Stefano Criber, Passione Ristorante Italiano is set to introduce to Malaysian diners a taste of artisanal Italian cooking, done the good old-fashioned way, thus strictly keeping with the most authentic of flavours of the Italian food tradition. Chef Stefano, 34, who has vast experience dishing out Italian specialities in Luxembourg, England, South Korea and Indonesia, will now treat diners in the city to his cooking style. Chef Stefano draws inspiration from familiar sights, scents and flavours from his homeland. Stefano grew up in Abruzzo, Italy - the colourful marketplaces, bustling kitchens and hearty dinner tables where food is celebrated as an art form and way of life. Chef Stefano believes the best dishes are those cooked with heart and soul, especially when prepared for family and loved ones. He believes in simplicity in cooking to ensure quality, to allow the natural flavours of the ingredients to come through by using the freshest ingredients to enhance the natural beauty of food. One thing that will grab the patron's eye as they walk into the restaurant is the huge wood-fired oven, specially built to bake thin-crust pizza. This is Passione's most eye-catching hallmarks, an impressive wood-fired oven, where the classic pizza is reimaged under Chef Stefano's watchful eye. 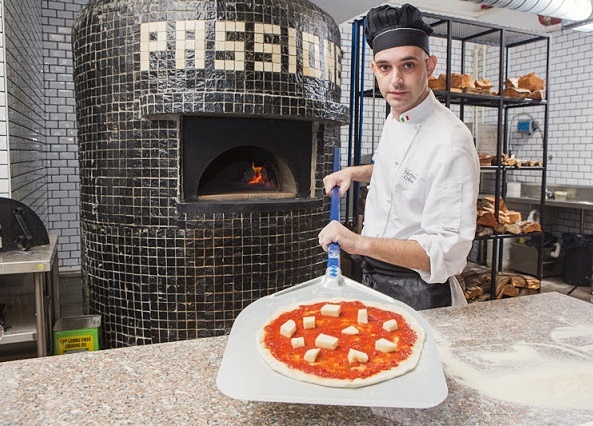 Pasta, Pizza & Produce are the three central offerings of Passione's culinary philosophy. 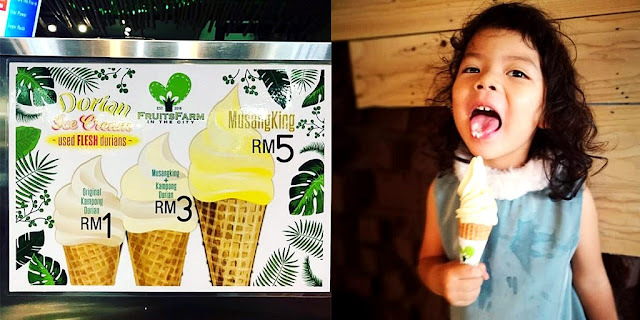 Each is an exquisite labour of love born out of Chef Stefano's extensive experience passion for simple good food promising food lovers a unique experience of authentic Italian cuisine like no other on Malaysian shores! The first-of-its-kind speciality in the neighbourhood, Passione's wood-fired pizzas harken back to the age-old Italian method of making pizzas by hand and baking under high heat in brick ovens. At the high heat of up to 400℃ allows for better heat distribution and caramelisation of ingredients infusing a natural smoky aroma for its authentic Italian pizza. My hubby and I was honoured to be invited to the official launch of Passione Ristorante Italiano recently and was treated to a showcase of Chef Stefano's signature dishes which represents a varied selection of Italian classic favourites. Also at the grand opening of Passione Ristorante Italiano, guests were treated to a truly amazing live performance by Madam Ang Mei Foong (Cav.) | Soprano, an award-winning soprano performing for the first time at the Italian restaurant. Well, just as how they quote as in "Drinking good wine with good food in good company is one of life's most civilized pleasures" by Michael Broadbent. Lucky me getting to meet her in person, she was nice and friendly. Her voice was beautiful and powerful, absolutely mesmerising to watch her perform live! Our special lunch menu for the day was curated by Chef Stefano Criber, a showcase of authentic Italian flavours with a four-course meal that begins with 'AntiPasto All'Italiana'. This features a selection of premium wafer-thin slices of cold cuts and cheese with Italian pickles, paired perfectly with a glass of white wine. If you are a mushroom lover, this pasta dish will definitely hit all the right spots. 'Spaghetti Chitarra Al Porcini' consists of flavoursome handmade spaghetti chitarra pasta dish laden with fresh porcini mushroom sauteed in brown sauce, and pretty much a complete meal on its own. 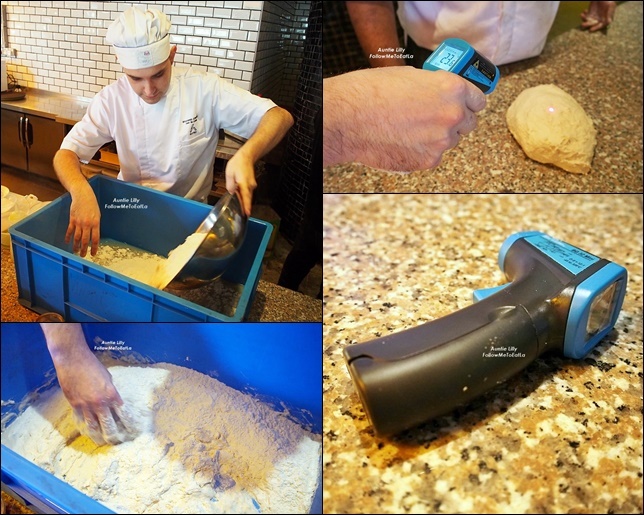 As a true blue Italian, Chef Stefano insists that pasta should only be enjoyed fresh and handmade on the day itself. His philosophy of "Always fresh, always handmade, never pre-packed" is clearly expressed in the pasta dishes he made fresh daily from scratch, a taste that's unmistakably true to his Italian roots. 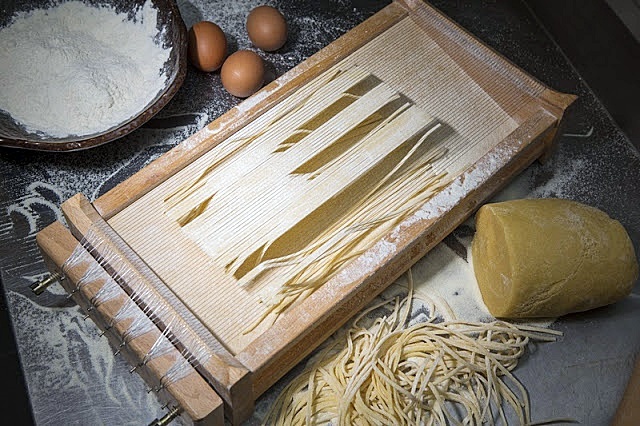 Pasta ala Chitarra is a type of pasta that originated from Chef Stefano's hometown Abruzzo is well-known for. It's made using a special tool nicknamed a 'guitar' which features a unique broader cross-section and porous texture that absorbs sauces more thoroughly for a richer fuller taste. Those who prefer meat for their mains can try the juicy and tender 'Guancia Iberica Al Montepulciano Con Verdune Al Vapore' - which loosely translate to Iberica Jowl braised in red wine sauce, served with steamed vegetables on the side. One of the most memorable dishes tasted at the launch, it was absolutely amazing with fork-tender and flavourful melt-in-the-mouth texture. A must try for pork lovers, really! To end the satisfying Italian luncheon at Passione Ristorante Italiano, the restaurant has Tiramisu, the coffee-flavoured classic Italian dessert to complete our tasting experience for everyone. A mouth-watering piece of sinful indulgence, the classic Italian dessert is infused with coffee flavoured ladyfingers with mascarpone cheese and crunchy chocolate. Passione also houses a hangout space at the cocktail bar, tucked away in an inviting corner of the ground floor. 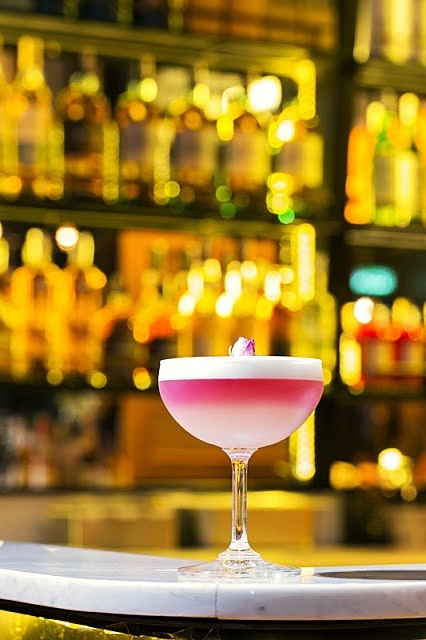 Both seasoned and new cocktail lovers can explore crafted mixes and classic blends from Passione's bartenders. Recommended crafted cocktails include Mal Gin & Tonic, Maesto Viola, La Signora Rosa and Calamansi Cielo. They also serves specialty Peroni Italian Beer available by the bottle. After reading your article, I think you haven't exactly eaten in that much of Italian handmade pasta restaurants before in Klang Valleys for you to write such an articles regarding Italian Cuisines in Klang Valleys.